Yesterday in the crack of dawn I started receiving alarming texts. 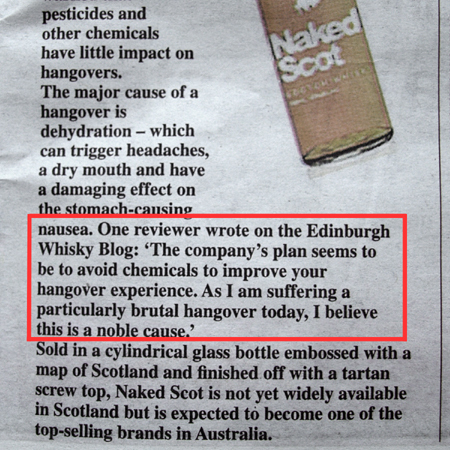 “Edinburgh Whisky Blog hit the headlines!”, “You are in today’s Metro, boys”, “OMG, your whisky blog is famous”. All true. 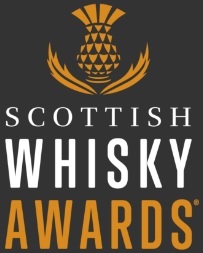 I can now announce that our modest whisky blog made the press. Headlines? *cough*cough* You know what it is like with proud friends, they tend to exaggerate. In fact it is the thirteenth page in yesterday’s Metro (23 Feb 2009). 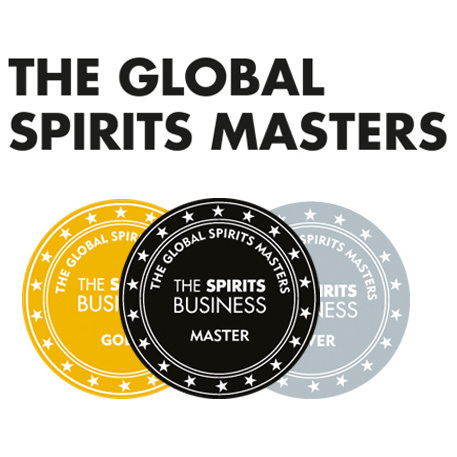 It may not seem like much, but given that we have only been writing this blog since last month, there is a sense of achievement here, in Edinburgh Whisky Blog’s HQ. And it doesn’t really matter that they ripped an absolutely random bit out from what we wrote in that post. And it’s OK that we share the page with “Study finds drink kills 1,500 Scots every year”. As my friend said to me yesterday, there is no bad publicity. This entry was posted	on Tuesday, February 24th, 2009 at 9:08 am	and is filed under News. You can follow any responses to this entry through the RSS 2.0 feed. Responses are currently closed, but you can trackback from your own site.